Another international break has come and gone and a pivotal stretch of matches looms on the horizon for Arsenal Football Club. Between now and the next international break in November, Arsenal play seven times. 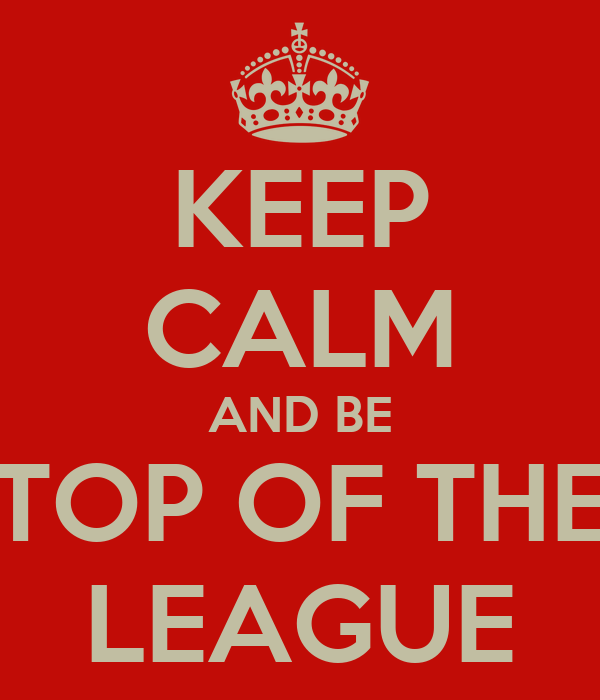 Among those seven games, Arsenal play Norwich City and Crystal Palace, two clubs currently in relegation places. They also play Borussia Dortmund twice in the Champions League. The other three games are against Liverpool, Manchester United, and Chelsea, the latter match coming in the League Cup. As you can see, that's a pretty daunting list of matches, the type of stretch that may truly define this season. Arsenal come into this stretch at the top of the table, both in the Premier League and in their Champions League group. Starting this stretch off on the right foot will be crucial in order to go into the next Interlull on the same high we're on now. Among the seven matches, the two against current relegation battlers would seem the ripest for three points each, tomorrow included. So, come on you Gunners! Relax! It's not that bad! Arsenal have a number of players just about to return from injury, which is why the "doubts" section is so crammed this week. Santi Cazorla is back in training after missing a month with an ankle injury and could start and Bacary Sagna might be back after his hamstring tweak just before the Interlull. Theo Walcott has now been listed as "two weeks away," hopefully not in Diaby-time. Mesut Ozil, as you likely know, left Tuesday's 5-3 Germany win over Sweden as a precaution with a knee bruise; it is not expected to keep him out of action, necessarily. Personally, I'd start him on the bench, use him only if necessary, and let him rest up for Tuesday. Arsene Wenger may choose to rotate more liberally than usual, now that he has some attacking options returning, especially considering Arsenal play Dortmund in the Champions League on Tuesday. Players like Mikel Arteta and Mathieu Flamini should be rested after not playing during the international break (in addition to those that missed international duty via injury that are returning, like Cazorla.) Suddenly, Arsenal have options; I don't know what to make of that! Predicted XI: Szczesny, Jenkinson, Koscielny, Mertesacker, Gibbs, Arteta, Flamini, Cazorla, Wilshere, Ramsey, Giroud. "van Wolfswinkel" requires on his shirt in this photo? Left winger Anthony Pilkington is a doubt with a hamstring injury; Pilkington remained on Ireland's bench for their loss to Germany on Friday, then was ruled out of their Tuesday match against Kazakhstan. If Pilkington misses out, he'll be replaced by Nathan Redmond on the left. Redmond came off the bench in the 81st minute against Chelsea two weeks ago (and then Chelsea scored twice, but that's not exactly related.) Elliott Bennett is also out with a knee injury. Norwich plays a 4-1-4-1 formation, with Alex Tettey playing in the holding role, behind Jonathan Howson and Leroy Fer in the center, Robert Snodgrass wide to the right, Pilkington (or his replacement) wide to the left, and Ricky van Wolfswinkel (wait, seriously?) up front. There is nothing to suggest that Norwich won't play with just one striker away from home. Predicted XI: Ruddy, Martin, Turner, Bassong, Olsson, Tettey, Snodgrass, Howson, Fer, Redmond, van Volfswinkel. ago, until an implosion in the final 10 minutes. It's kind of funny that since the season opening capitulation to Aston Villa, Arsenal's only blemishes on their record are two draws at The Hawthorns, one of which they ending up winning in a penalty shootout. The league winning streak may have been snapped at five, but the common consensus is that the 1-1 draw two weeks ago will likely look more like one point gained rather than two points dropped come season's end. That said, the draw still extends Arsenal's unbeaten streak to 11 games, their longest since the end of 2011/12 and the beginning of 2012/13; the last time Arsenal went unbeaten in 11 straight within the same season was the winter of 2011, a streak that ended with Birmingham City winning silverware at Arsenal's expense at Wembley. Norwich City, on the other hand, have had a turbulent start to their season, winning just twice in seven league games. Norwich's two wins have each been by 1-0 scorelines, over Southampton and Stoke. They also opened the year with a 2-2 draw with Everton, but have also lost to Hull City, Tottenham, Aston Villa, and most recently Chelsea, imploding late at Carrow Road in that match. The Canaries have won twice in the League Cup, defeating Bury in the second round and Watford in the third (the latter of which required a late equalizer and extra time;) they've earned a date with Manchester United at Old Trafford in the fourth round for their troubles. minutes against Norwich in April. Arsenal and Norwich split the points last season, with each club winning at home. The year prior, Norwich's first since returning to the top flight, Norwich picked up a draw at the Emirates, but Arsenal won earlier at Carrow Road. I'll admit I missed this fixture last year; I was scheduled to fly to Montreal for vacation the day prior, but a freak snowstorm (April, AMIRITE?) forced us to land in Syracuse instead. When our plane finally touched down in Montreal on Saturday morning, Norwich led 1-0, Michael Turner having put the visitors ahead in the 56th minute. Just as I gained WiFi access on my phone, Mikel Arteta had just converted from the penalty spot to equalize. By the time I reached the customs line, Arsenal had scored three goals in seven minutes, the latter two coming from Olivier Giroud and Lukas Podolski. I believe that was the last time Arsenal didn't score first in a match before West Brom struck first two weeks ago. The reverse fixture, which was the first match after the October international break last year, was not as kind to Arsenal. The Gunners had over 60% of the possession, but Norwich came away 1-0 winners after an early goal where Vito Mannone parried a shot straight into the path of Grant Holt. 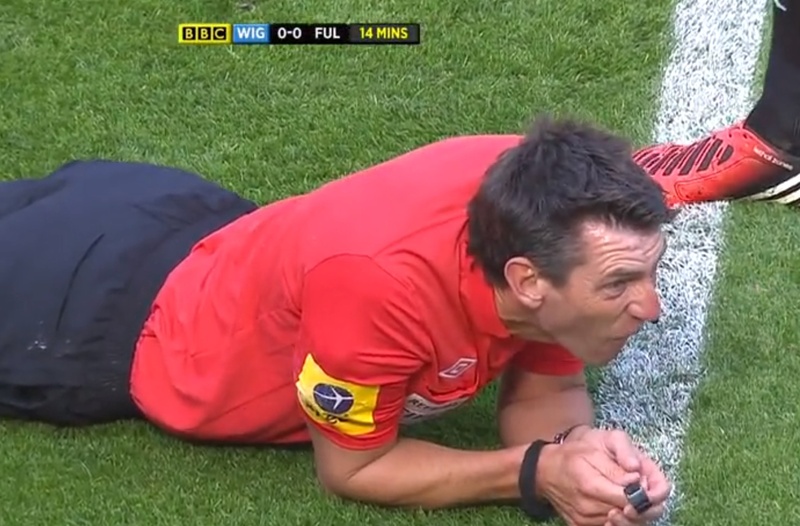 "I'll just rest right here, thank you..."
The referee is Wiltshire-based Lee Probert. If you're the kind of person who believes that trends involving referees matter for results, avert your eyes for this section. Maybe don't even read it at all. Arsenal are winless in their last five matches with Probert in the middle, drawing two and losing three. In addition, Arsenal's last win with Probert as the referee required extra time; it came in the League Cup over Tottenham in September of 2010, in which Arsenal struck three times in the first 15 minutes of extra time, thanks in part to two penalties. Since then, Arsenal drew 2-2 at Wigan, lost 1-0 to Manchester City in the 2011/12 League Cup, lost 2-1 at Fulham, lost 1-0 at Norwich, and drew 1-1 at Southampton. Arsenal's last win in 90 minutes with Probert as referee came four years ago yesterday, 3-1 over Birmingham. I recall Arsenal scored twice within two minutes in that game, all while I was trying to get a drink. Norwich, on the other hand, are unbeaten in their last seven matches with Probert, winning five and drawing two. This includes matches in the Premier League, Championship, and League One. Their last loss with Probert came to Stoke City, in the Championship, on December 1, 2007. Since then, the Canaries drew 1-1 with Wolves, beat Ipswich 2-0, beat Leeds 1-0, drew 1-1 with Everton, beat Bolton 2-0, beat Arsenal 1-0, and beat Wigan 2-1. 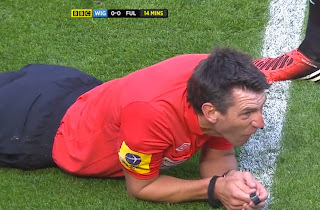 Probert's worked a few of the bigger name upsets this year, which is worrying if you're an Arsenal supporter: he was the referee for Cardiff's win over Manchester City and West Ham's win over Tottenham.